Looking for the best Shenzhen hotels? Then you've just found the right place! Looking for the best Shenzhen hotels that suit your preference? Here are the most popular hotels around the city into which most of Shenzhen travelers preferred to stay. Here are some of the most popular Shenzhen hotels brands offering not only a top class services and facilities but also, the advantage of their respective superb location. Please find below listings of the most popular Shenzhen hotels being recommended by real Shenzhen visitors and shoppers. We're going to tell you into which hotel they preferred to stay based on actual testimonials from our site's visitors and verified Shenzhen hotel guest reviews. This Shenzhen hotel can be found in the southwest corner of the city, and is located within close proximity of numerous tourist attractions. Some of the points of interest near the Crowne Plaza Hotel Shenzhen include the famous Window of the World, Splendid China, Happy Valley, China Folk Culture Village, and the luxurious Yitian Holiday Plaza. The Shekou Harbour Passenger Terminal is about 20 minutes away from the Crowne Plaza Hotel Shenzhen. The port and Shenzhen International Airport are approximately 25 minutes away. All of the rooms in the Crowne Plaza Hotel Shenzhen feature high speed Internet access, hair dryers, ironing sets, coffeemakers, mini-bars, safes, and satellite TV. book a room at Crowne Plaza Hotel Shenzhen. Visitors will find this hotel in Shenzhen's business district, which is approximately one hour from central Hong Kong. The Renminnan Commercial Center District, Guomao Shopping Center, and Dongmen Commercial center can all be found less than 1 kilometer from the Crowne Plaza Hotel & Suites Landmark Shenzhen. The Shenzhen railway station can be found 5 minutes from the Crowne Plaza Hotel & Suites Landmark Shenzhen, and the Shenzhen Baoan International Airport is 15 minutes away. A total of 304 guestrooms are spread out across the 22-story hotel. Each of the Crowne Plaza Hotel & Suites Landmark Shenzhen's rooms features a mini-bar, telephone, safe, cable TV, marble bathroom, and hairdryer. book a room at Crowne Plaza Hotel & Suites Landmark Shenzhen. The vibrant Luo Hu area sets the backdrop for this Shenzhen hotel. The Lo Wu Shopping Center, Shenzhen Golf Club, and Minsk World are all located near the Shangri-La Hotel Shenzhen. The city's railway station can be reached in 5 minutes on foot, and the airport can be reached in 40 minutes if traveling by car. An airport transfer service is provided by the Shangri-La Hotel Shenzhen. The Shangri-La Hotel Shenzhen is comprised of a total of 553 rooms, each of which offers a pleasant view of the bustling city and green hills. All of the rooms come equipped with broadband Internet access, dataports, voicemail, satellite TV, electronic safes, mini-bars, and hairdryers. book a room at Shangri-La Hotel Shenzhen. 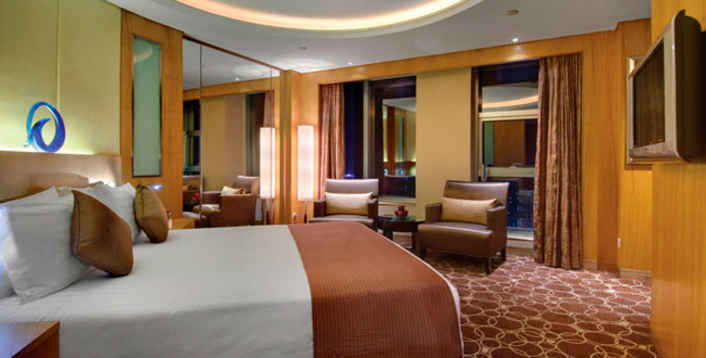 book a room at Marco Polo Hotel Shenzhen. 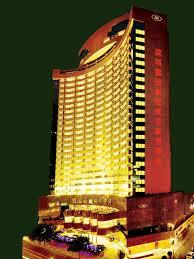 Visitors can find this hotel in Shenzhen's famous commercial center, on Dongmen Shopping Street. 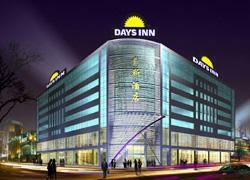 Public transportation is conveniently located just 100 meters away from the Days Inn Shenzhen. A subway station can be found just 100 meters from the Days Inn in Shenzhen, and the Shenzhen International Airport is just 30 miles away. 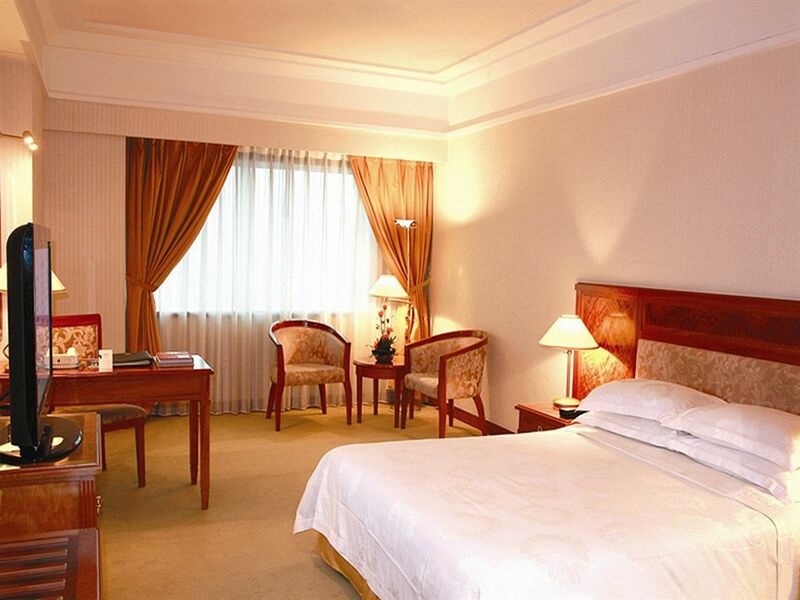 A total of 166 spacious guestrooms and suites can be found in the Shenzhen Days Inn Hotel. Each of these spacious rooms comes equipped with a selection of contemporary amenities, such as free Internet access, a safe, and refrigerator. book a room at Days Inn Shenzhen. A central and scenic location makes the Shanghai Hotel Shenzhen perfectly suited to the needs of the leisure or business traveler to the region. It is within the central business district, but also adjacent to some of the finest shopping and dining areas too. The Ertong Park, Shenzhen Stadium, City Hall, COCO Park, Window of the World and Lotus Flower Mountain parks, and the University are all within minutes of the hotel. The Shanghai Hotel Shenzhen is located at No. 3032 Shennan Zhong Road, which is 39 miles from the Macau International Airport. Each of the 163 rooms in the Shanghai Hotel Shenzhen is decorated in the same modern style and offers climate controls, LCD TVs with cable service, full-sized bathrooms, beverage stations, high-speed Internet access, and personal safes. 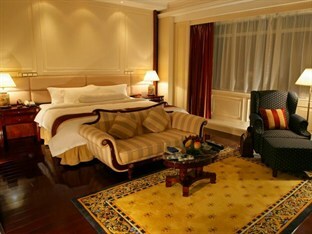 book a room at Shanghai Hotel Shenzhen. The Kaili Hotel Shenzhen can be found in the heart of the city of Shenzhen, nestled in the Luohu business and commercial district. The Luohu border is only a 5 minute drive from the hotel, and the commercial, shopping, and entertainment areas are all within walking distance. Shenzhen International Airport can be reached from the Kaili Hotel Shenzhen in 50 minutes if traveling by car. 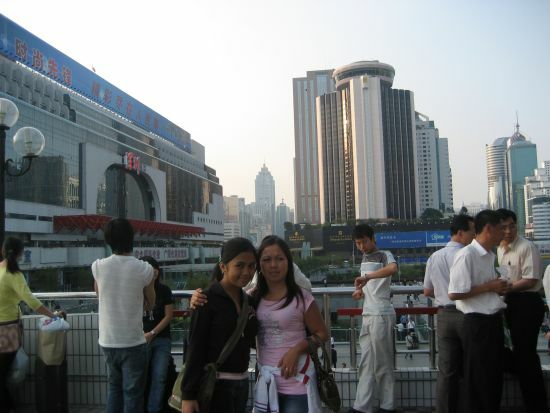 The railway station can be found nearby, and the Luohu entry and exit port isn't far from the hotel. The various rooms and suites in the Kaili Hotel Shenzhen are elegantly designed and come with a host of modern amenities. Each room comes with computers, VOD systems, and DVD players. book a room at Kaili Hotel Shenzhen. 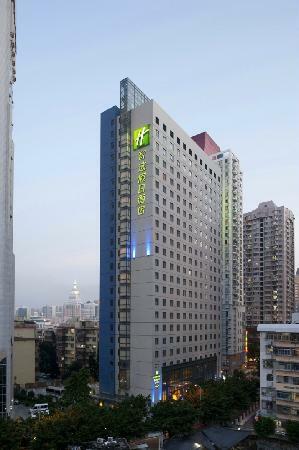 The Holiday Inn Luohu is located in the central Luohu district, near the Shenzhen Di Wang Building. A wide variety of vibrant shopping venues, such as the popular Vientiane City and Dong Men Walking Street, can be found within close proximity of this Shenzhen hotel. The Grand Theater metro station and the Luohu transport station are located within walking distance of the Holiday Inn Shenzhen Luoho. Shenzhen Baoan International Airport can be reached in 40 minutes by car. A complimentary shuttle service is provided for locations within a 1.5 mile radius. There are 336 spacious guestrooms in the Holiday Inn Express Luohu, each of which features a variety of amenities. Over-sized beds, LCD televisions, hairdryers, safes, Senses Tea, and free high speed Internet access are some of the in-room amenities available to guests. book a room at Holiday Inn Express Luohu Hotel Shenzhen. 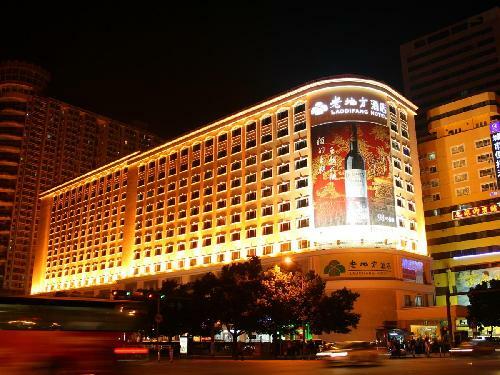 Hotel is located in Shenzhen City "securities, food, shopping, " the Zhenhua Road, on a street, located in Shenzhen Huaqiang North prime locations, is the National Tourism Administration approved a three-star hotel. In 1999 through the ISO 9000 quality management system certification; consecutive years won the "Top Ten Hotels in Shenzhen", "the tourist industry in Shenzhen City Top Ten health units", "advanced unit in Shenzhen, law and order, " the title; and in 2003, Shenzhen was a "green hotel "title in 2005 has been designated as" Shenzhen City official reception hotel accommodation sentinel "is a community ideal choice for staying. Hotel features unique, magnificent lobby and 160 well-equipped, comfortable and safe standard room and suites, and provides central air-conditioning, 24-hour hot water system, IDD direct dial telephone, mini bar, cable TV, VOD, free broadband Internet services such as the distinguished guests committed to provide a more comfortable, clean accommodation and facilities. Amenities providing by the property are Airport transfer, Business center, Concierge, Conference facilities, Currency exchange, Dry cleaning, Internet access ?High-Speed, Laundry service, Lift / Elevator, Lobby, Parking facilities ?at cost, Reception, Restaurant, Room service ?24 hrs, Safe deposit box and Tour desk. By the chefs cooking for you all kinds of elaborately prepared Chaozhou cuisine and seafood, not only renowned in Shenzhen, but also attracted Hong Kong, Macao and mainland tourists. book a room at Difu Hotel Shenzhen. With its central location, Lao Di Fang Hotel is within easy reach of most tourist attractions and business addresses in Shenzhen. Each of the 264 well-furnished guestrooms at the hotel ensures a comfortable stay with industry-standard room amenities. 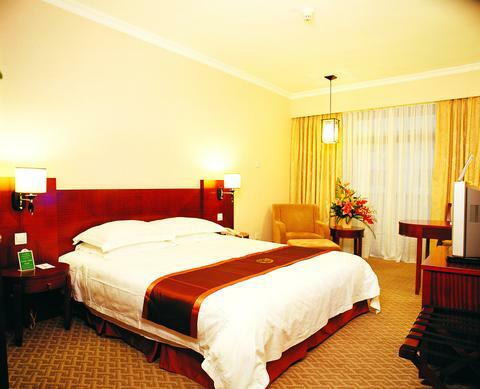 Each guestroom features amenities such as non smoking rooms, air conditioning, desk, hair dryer, internet access. The amenities and services offered at this Shenzhen accommodation include 24hr room service, shops, elevator, coffee shop, laundry service/dry cleaning. Leisure and sports facilities available on the hotel's property comprise sauna. Being one of the good quality hotels in Shenzhen, guests staying at this hotel will find its convenient location and tranquil atmosphere pleasurable. To reserve a room at the Lao Di Fang Hotel, simply select your dates of stay and fill in our secure online booking form. book a room at Lao Di Fang Hotel Shenzhen. The City Inn South Shangbu Road Branch permeates the bustling urban atmosphere in its fashionable & simple design. 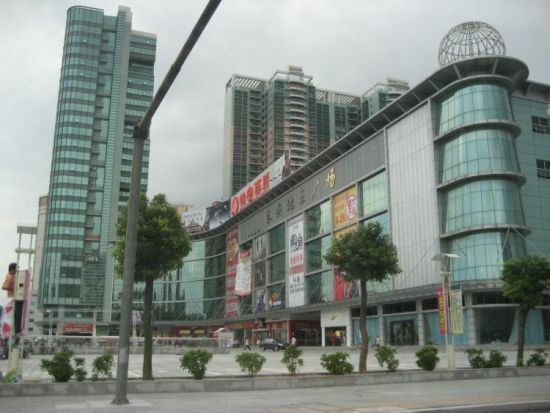 It is located at the intersection between Songling Road and Nanyuan Road, Futian District, Shenzhen, neighboring the busy Huaqiangbei Pedestrian Shopping Street, Diwang Mansion, Jusco Shopping Center, CITIC Plaza, Shennan Avenue and Binhai Avenue, where traffic is convenient. The hotel is a good choice for lodging. The hotel is designed in a simple but fashionable manner. Its 98 guestrooms are equipped with a separate bath room, air-conditioner, CATV, free Internet access, DDD and IDD telephone, tea set, electrical boiler, laundry and some other facilities, which make enjoy a carefree trip. The separate Business Center provides such services as airplane and railway ticket booking, typing, copy, fax, express mail delivery, travel consulting, and car renting, etc. The hotel offers Business centre, Concierge, Conference facilities, Currency exchange, Dry cleaning, Internet access - Wireless, Laundry service, Lift / Elevator, Lobby, Parking facilities - at cost, Reception, Reception, Restaurant, Room service - 24 hrs, Safe deposit box. 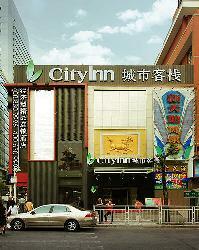 book a room at City Inn Shangbu South Road Shenzhen. City Inn OCT Loft is situated in the Overseas Chinese Town, adjacent the trunk road, Shennan Avenue, commanding a full view of the theme scenic spot of the Overseas Chinese Town and the beautiful scene of OCT Loft, which is footstep away from the Splendid China, the China Folk Culture Village, the Window of the World and the Happy Valley. Superior geographic environment, convenient traffic and considerate service make the hotel the first choice among the local express hotels. The hotel is designed in a simple but fashionable manner. The hotel amenities are: Business center, concierge, conference facilities, currency exchange, dry cleaning, internet access-wireless, laundry service, lift/elevator, lobby, parking facilities-at cost, reception, restaurant, room service-24 hrs, safe deposit box and tour desk. book a room at City Inn OCT Loft Shenzhen. The hotel's contemporary and modern design appeals to the distinguished business traveller and leisure travellers, who expect a step beyond the ordinary. The designs are accompanied by the most modern technology and facilities, not forgetting the quality of service one can expect from this hotel chain. Hard-wired and wireless high-speed Internet access is available throughout the hotel. The hotel offers a large number of meeting spaces in various sizes, specifically designed with large meetings in mind. Audio-visual equipment can be tailor-made for such events, fulfilling the highest expectations in quality and reliability. There are 15 meeting and private rooms, as well as a Junior Ballroom, which are the ideal venues for complex agendas with various break-out sessions. book a room at Hilton Hotel Futian Shenzhen. 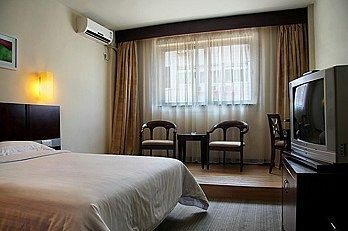 Guangdong Hotel - Donghu Branch is located at the next door of the scenic Donghu Park, and the Luohu Customs and railway station are in close proximity. 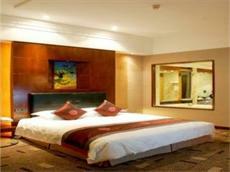 book a room at Guangdong Hotel Donghu Shenzhen. Wanted to ask or say something about Shenzhen? Wanted to inquire or share something about Shenzhen, anything like how to get there from specific place? our HK and SZ insiders are always ready to help you!